Uttarakhand MBBS and BDS Admission 2018 will be based on NEETScores as per the order of Supreme Court of India. The application form of Uttarakhand MBBS 2018 has started from 25 June. Aspirants who have satisfied the eligibility criteria and have qualified NEET can apply for Uttarakhand MBBS admis sion 2018. The last date for Uttarakhand MBBS online registration is 30 June 2018. Based on the registrations, Uttarakhand MBBS merit list 2018 will be published on 30 June. The eligibile aspirants have to fill their choices of preferences for Uttarakhand MBBS counselling from 30 June to 2 July 2018. Uttarakhand MBBS admission is the basis for admission to 420 MBBS and 100 BDS seats in Medical and Dental colleges of Uttarakhand state. The counselling and admission to the state quota seats and all India quota seats will be done by the counselling board constituted by the government on the basis of merit of NEET 2018. 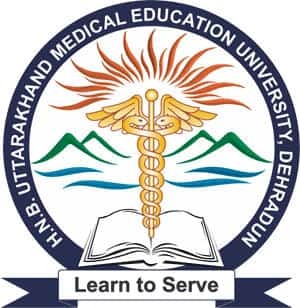 Hemwati Nandan Bahuguna Uttarakhand Medical Education University earlier conducted UPMT for admission to Medical and Dental Graduate Courses (MBBS and BDS) but from 2016 admissions are done on the basis of NEET. In 2016, a total of 2,106 candidates from all the categories were selected for MBBS and BDS admission. The registration process of Uttarakhand State Centralised Counselling began on 1 September last year. Domicile: Candidate must be a domicile/permanent residence of Uttarakhand state who have passed his/her 10+2 or equivalent examination from an educational institute situated in Uttarakhand. The candidate who is not a domicile/permanent resident of Uttarakhand State but has passed his/her 10+2 examination from an educational institute situated in Uttarakhand will be eligible but will not get reservation benefits. The candidate who is a domicile/permanent resident of Uttarakhand State but has passed his/her 10+2 examination from an educational institute situated outside Uttarakhand will also be eligible. Age: Candidate must have attained an age of 17 years on or before the day of admission in the respective college OR December 31, 2018. Maximum age limit is 25 years as on December 31, 2018 (for SC/ST/OBC candidates it is 30 years). Academic Qualification: Candidates must have passed 10+2 Higher/Senior Secondary or its equivalent examination with Physics, Chemistry, Biology/Biotechnology and English. Candidates appearing in the qualifying examination in 2018 can also apply but they will be required to pass the qualifying examination by the date of counselling. Minimum Qualifying Marks: Candidates must have passed in Physics, Chemistry, Biology/Bio- technology and English individually. Uttarakhand Application Form can only be filled Online by the candidates. MBBS and BDS application forms are available on this page. The candidates willing to seek admission in the medical colleges of Uttarakhand can fill the registration form. The candidates must read the instructions before filling the Application Form and the candidates must have qualified NEET exam. If the candidates have not applied for NEET yet then he/she needs to apply by following the link below. Login: The candidates need to click on Apply Online to register themselves. Candidates must use their 10 digits mobile number as their Username and enter any password and click on login to proceed further in the Application Form. Filling the Application Form and uploading documents: The candidates need to write their name, DOB, category, NEET Roll Number, Father's Name, Domicile. Upload Photograph and signature: The photograph and signature must be in .jpg format and photograph should be up to 50 KB and Signature up to 30 KB. Payment of Fees: After filling all the basic and mandatory details, the candidates need to make the Online payment of Application Fees through Debit Card/Credit Card/Net Banking. Filling references/ Choices: The candidates must choose their Colleges to reference out of the medical and dental colleges and lock their Preference. Print out: After filling the complete Application Form, the candidates need to take a print out of it for Future Reference and Counselling Process. The candidates need to submit the duly filled in Application Form online only. The candidates filling the application form must fill the details carefully. The details filled in the application form should be correct. After inspecting the application form, the candidates can submit the same the application form. After submitting the form, the candidates can take a print-out of the application form for future references. HNBUMU Admission process will be done on the basis of NEET score. The candidate needs to register themselves in order to take admission in HNBMU MBSS and BDS Colleges. The University will conduct 2 rounds of Counselling to shortlist the candidates for taking Admission in the MBBS and BDS Course. Class 10 Certificate for Age proof. The Government has decided that all the MBBS students enrolling in Government Medical Colleges of Uttarakhand against the State Quota and also the students of Central quota shall have the option to complete MBBS on payment of subsidized tuition fees of Rupees 40,000 (Forty Thousand) per annum as against the full tuition fees of Rupees 4,00,000 (Four Lakh) per annum. Candidates who take admission in MBBS with subsidized tuition fee. Meritious UPMT candidates will have to sign a bond to avail fee subsidization facility. As part of the bond, the Government will charge subsidized tuition fees of Rs. 40,000 per annum from the candidates executing the bond under this scheme. This is a subsidized tuition fee as compared to full annual tuition fees of Rs. 4,00,000 per year. Tuition fees would be chargeable for a total of 4-1/2 years.